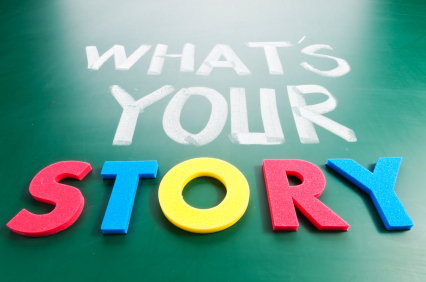 Blogging, social media and video provide organizations excellent platforms to tell your story. However, if your stories aren’t interesting, then your audience will quickly lose interest….and they’ll stop paying attention to your stories. The one thing that some of the most viral stories have in common is that they tell the story well. Well, what makes a great story? However, story telling does not need to be complex or difficult in order to be compelling. After reviewing a number of different sources, I came up with five components of great story telling. With a few tweaks, and a little practice, you can turn your descriptive paragraphs into great stories that lead to excellent results. Draw readers into your story by beginning with the action. Instead of starting your first paragraph with, “On September 9th, ABC School students had an exciting Patriots Day assembly that included a SWAT helicopter, a fire truck and a flag raising ceremony” why not draw a picture of the students’ actual experience, as if one were watching a video of the story? “On the grassy field, students’ hair blew all around while they watched, wide-eyed, as a SWAT helicopter landed in front of them….” From there, you can then continue describe the audience’s experience, versus merely describing what happened. Using descriptive words and sharing the emotions of the participants, try to evoke those same emotions in your readers. Did some students jump up and cheer when she saw the SWAT helicopter? Or, were they so impressed that they looked up in awe as the helicopter came down onto the field? Including these details in the story keeps your reader’s interest. The good thing is, when you’re in the people business, like education and non-profits, it’s easy to keep stories true and real. Reinforce this by getting quotes from participants. Ask them open-ended questions about how they felt, whether they were surprised or excited about the event, and what they liked the best or what they learned from the event. Their responses highlight the true experiences of your participants, and are much more interesting than the usual canned, “We want to make sure students remember how important our public safety officers are to them.” Zzzzzzzz…. Most great stories describe a challenge that was overcome. How many of your favorite movies or books involved a character that just skated through life? Audiences like to know that there was some type of challenge involved. Part of your story could be about the challenges of organizing the event itself—and how your event/community partners came through in the end. It’s a great way to highlight your organization’s gratitude for your community partners. The day of the week, describing what people wore (unless it’s relevant to the story), and other nuances aren’t necessary for an impactful story. One of the most interesting stories can be the shortest ones. A famous example that I keep in mind when I find myself “writing in the weeds” (i.e., getting too complex) is a six word short story (often wrongly attributed to Stephen Kind and Ernest Hemingway): “For Sale: baby shoes, never worn.” Begins with the action, evokes emotions, true and real, and includes a struggle or conflict. Great story telling can also help your organization gain more supporters and partners for its endeavors. So, including a call to action at the end of your story is a great way to encourage audience members to be a part of the action, solution or support your organization needs to be successful.